Home » Blog » Don’t Bite The Dentist! Bite down hard, but not on Dr. Montz’s hand! Do you find that biting down hard is painful or awkward? There are ways to find the source of the trouble and there are ways to make it right. Let David C. Montz DDS, PA & Associates – Family, Cosmetic and Implant Dentistry in Pearland, Texas help you with that everyday chewing luxury most of us take for granted. Let us get you back to chewing pleasurably every meal of the day. David C. Montz DDS is a dental provider worthy of your trust. 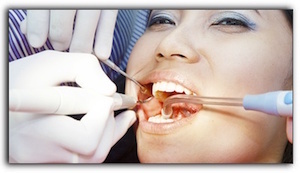 We offer cosmetic dentistry. When we schedule you for cosmetic dentistry, you can be secure and confident that we’ve got it handled. We also encourage our Houston friends to consider dental implants as an option with us. Instead of the dentist, chew on that, Pearland!